Published: May 7, 2014 at 02:18 p.m. Updated: May 8, 2014 at 02:16 p.m. The NFL's rookie wage scale has been a big success, in part because it has made first-round draft picks easier to trade. There were nine deals involving first-round picks in 2012, and another six trades involving first-round picks in 2013. 1. Sam Bradford dealt to Jacksonville: While I don't particularly buy the Johnny Ramziel rumors, this is one prediction I would love to get wrong. It would be a delightful draft moment to see Manziel join the Rams, and then watch Bradford, the 2010 No. 1 overall pick, get traded to Jacksonville. There is some logic to this idea that will never happen. Rams general manager Les Snead and Jaguars GM David Caldwell cut their teeth together in Atlanta. Bradford would be a clear upgrade for the Jaguars, who could absorb his big salary. Considering Bradford's contract and his torn ACL from 2013, it shouldn't cost that much in trade compensation to get him. It would be more of a salary dump and a fresh start for Bradford. 2. Eagles trade up with Raiders for Sammy Watkins: We've read about the Eagles potentially looking to move up for Odell Beckham. But perhaps Philadelphia will aim higher to round out Chip Kelly's offense. If Watkins slips to No. 5, Oakland becomes a logical team to move down. Raiders GM Reggie McKenzie needs to rebuild his roster with a ton of picks, and he could acquire a franchise-altering collection by going all the way down to No. 22. It's rare to see a team move up this far, but the Falcons pulled off a bigger move for Julio Jones. That's paid off, and Watkins is the best receiver to enter the league since Jones. If Watkins was in last year's draft, he would have easily gone No. 1. 3. 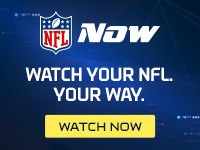 New England acquires Mike Glennon from Tampa Bay: Greg Schiano, who spent the entire NFL Scouting Combine by Bill Belichick's side, said on NFL Network on Tuesday that he sees Glennon as a future star. NFL Media Insider Ian Rapoport reports that the Buccaneers would be willing to trade Glennon for a second-round pick if they draft a quarterback early. Translation: The Buccaneers will take a quarterback early and they will probably trade Glennon. The Patriots could get a long-term backup to groom for a low price, like perhaps a 2015 third-round pick. 4. Tampa Bay trades up for Johnny Manziel: Perhaps the Buccaneers could stay at No. 7 and still land Manziel, but moving up to No. 2 or No. 3 would ensure they get him. Lovie Smith would love to copy the Seahawks-49ers template of a dominant defense paired with a mobile quarterback that can make plays on his own. More importantly: Manziel to Tampa is a move that ownership could be pushing for. The Glazer family can be more involved in the process than commonly believed, and the Buccaneers have a desperate need to sell tickets. This is an organization that has kept things close to the vest before this draft, and it wouldn't be a surprise if they have a big splash planned. 5. Chiefs trade Brandon Flowers to Atlanta: Bleacher Report's Dan Pompei reported this week that the 28-year-old cornerback could be acquired, largely because of his big contract. So why not deal him to the man that gave Flowers that deal? Falcons assistant general manager Scott Pioli knows Flowers is an above-average starter with good years still left. The Falcons have two talented, cheap cornerbacks just entering their second year, which is partly why they could afford to spend on a veteran to fill out the position. 6. Jets trade up with Tennessee for wide receiver Odell Beckham: Eric Decker is a start, but the Jets need more offensive weapons. We thought about making this trade up for Eric Ebron, but Rapoport believes that Beckham is the more likely target. So let's trust RapSheet, just this once. The Titans are a team known to be looking to move down, and Beckham should still be on the board at No. 11.